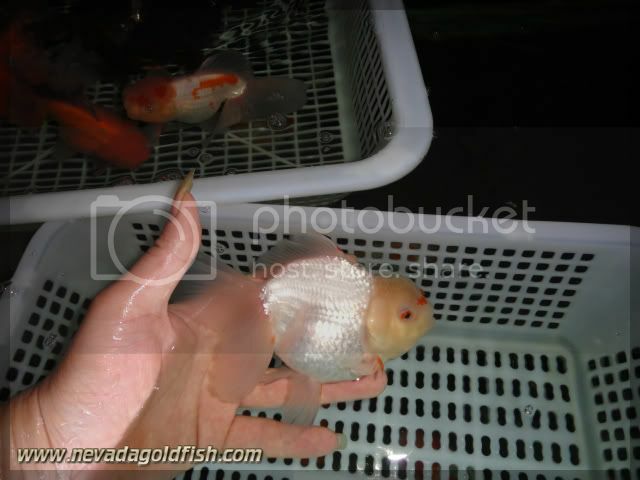 Can you found high quality of White Oranda easily? I am sure you will answer "not easy". It would be harder if that high quality White Oranda has a pair of red pompoms on its nostril valves. Yes, you will say that it is "extremely not easy". But I have good news for you, that Nevada Goldfish has those Oranda. Who will be the lucky one to get adopt this rare Oranda?